If you use propane to heat your home or as a fuel for any other appliances such as a pool, heater, or more, picking the right provider to take care of all your propane needs should not be a quick decision. It really does pay to find a propane company that offers you the best value along with professional, reliable service. Examine reviews by existing customers to find out which ones best satisfy their customer’s needs and evaluate their product/service qualities compared to other companies. Make sure the provider offers pricing plans or programs that are reasonable and work with your budget. Look at delivery services they offer to find the most efficient plan for you. As needed deliveries – You call your propane supplier when you need a delivery, which works best if you like to monitor your own propane usage. However, be aware that restrictions can apply with this option. Is there a fee for installing and setting up a new tank? What are the monthly lease or rental fees, if you do not own your own tank? Are there minimum monthly purchase requirements? If the answer is “yes,” do you meet the minimum? If the answer is “no,” what are your options? 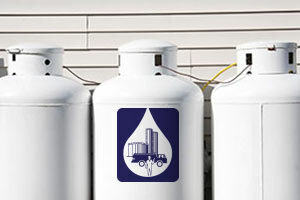 Is there a cost for propane deliveries? Or fees for transporting propane? If suppliers charge these fees, they usually involve the number and volume (gallons) of propane fuel you need at deliveries. Are there fees for disconnecting and/or tank removal, if you change suppliers or fuel type? Many propane suppliers have personnel costs for service closeouts and removing propane tanks without no possibility of continuing cash flow from soon-to-be formerly active customers. Are there any fees if you have a fixed-term contract with your supplier and terminate it early? And specifically, what actions may lead to these fees? Contract language should specify these charges, which are now pretty much standard charges for most propane delivery firms. Always carefully read any written contract from a propane supplier. You both need to understand any/all products and services they may offer. If you’re looking for a propane provider, please give your local Carpenter & Smith team a call. We’ll be happy to help answer any of your questions and can take care of all your home propane needs. Call 845.782.8161 today!